Organizacao da Mulher de Angola O.M.A. 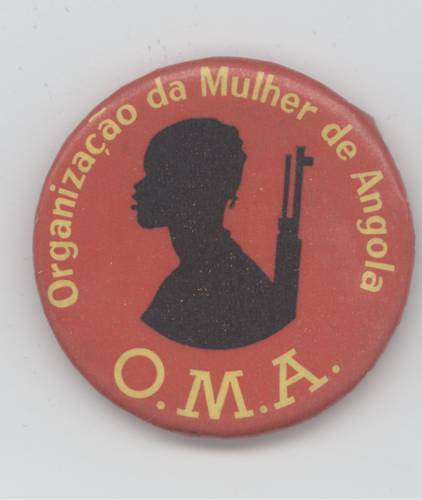 Organizacao da Mulher de Angola (O.M.A.) is the Organization of the Women of Angola. O.M.A. was associated with the Popular Movement for the Liberation of Angola (MPLA), the liberation movement of Mozambique. Size: 1-3/8 inches across. Used by permission of former members of the Chicago Committee for the Liberation of Angola, Mozambique and Guinea-Bissau.